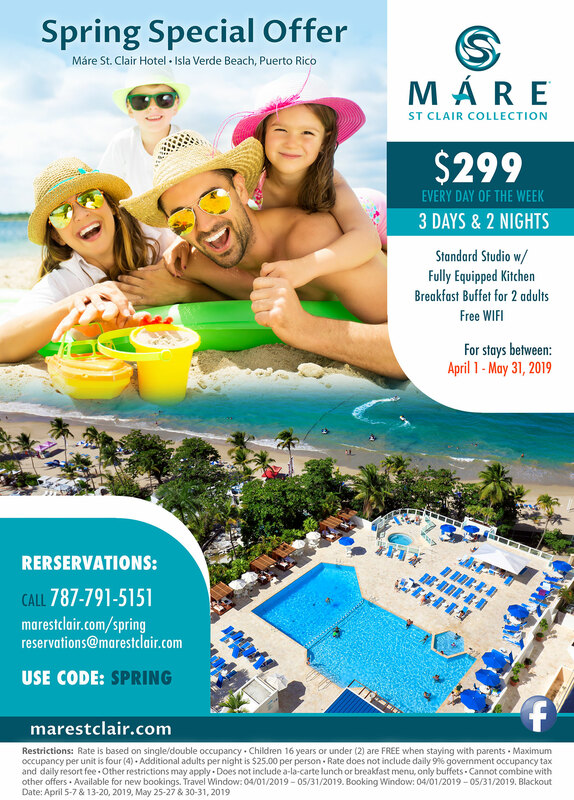 Máre St. Clair Hotel invites you to plan your vacation to Puerto Rico and stay with us during the beautiful Spring time. We are located right on Isla Verde Beach which won Best Urban Beach in 2016 as voted by readers of USA Today. Isla Verde Beach is full of restaurants, hotels and shops and is just minutes away from the Airport, Old San Juan, San Juan Port, San Juan Convention Center and all attractions.